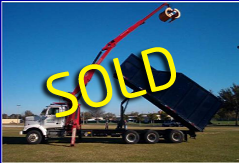 Used Drywall Crane Trucks For Sale. 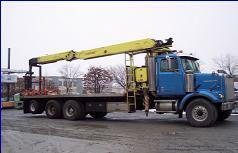 Crane Repair, Sales, Service and Parts for all Makes and Models. Please visit www.pmcranes.com for more information. Septic tank crane. Many uses for this versatile piece of equipment. 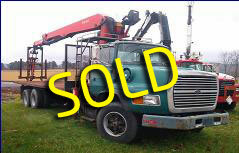 Copyright � 2012 RDWI, Inc.
Used Drywall Crane Trucks For Sale. Crane Repair, Sales, Service and Parts for all Makes and Models. New and used Cranes. Custom Built cranes for every application. Roofing cranes, roofing conveyor trucks, drywall cranes, IMT, Fassi, Cormach, Prentice, Hiab, Palfinger, PM cranes, wallboard cranes, sheetrock cranes, sheet rock crane, conveyor trucks, knuckleboom, jib cranes, truck mounted cranes, construction cranes. Full PM Crane Product Line. PM Series Crane Authorized Dealer. 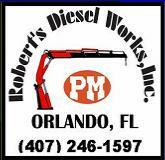 Not an authorized dealer for: fassi, cormach, hiab, palfinger, atlas, amco veba, heila or imt. 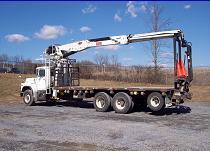 Click any Truck Crane to view Details. 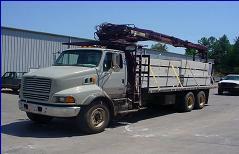 WE HAVE MANY USED DRYWALL CRANES IN STOCK AND READY TO WORK. 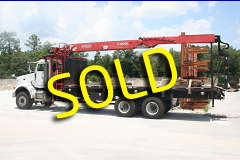 WE ALSO OFFER USED PARTS FOR ANY AND ALL CRANES. IF YOU CAN'T FIND WHAT YOU NEED, JUST GIVE US A CALL: 407-246-1597. WE WILL BE HAPPY TO LOCATE ANY PART YOU REQUIRE. Click here for full information.